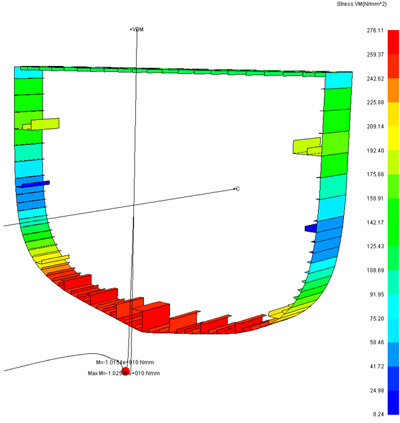 Progressive collapse analysis of ship hulls until and after the ultimate limit state is reached, using simplified nonlinear finite element method (idealized structural unit method). Any combination of hull girder load components, namely vertical bending, horizontal bending, sectional shear and torsion can be applied. Either steel or aluminum alloy ship hulls can be dealt with, considering the softening effect in heat affected zone caused by welding. Initial imperfections in form of initial deflections and welding residual stresses are dealt with as parameters of influence. Various types of structural degradation, e.g., corrosion wastage (general or pitting), fatigue cracking-and local denting are dealt with as parameters of influence.